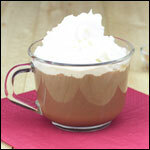 For each serving of Breakfast In A Glass, put 1 cup milk and 1/3 cup cool, cooked oatmeal in mixer or other container. Add 1/3 cup crushed strawberries (fresh or frozen) or other fruit; add sugar to taste and vanilla if desired. 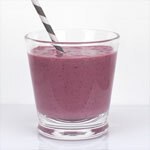 Blend in mixer or blender... or use electric or hand beater until smooth. 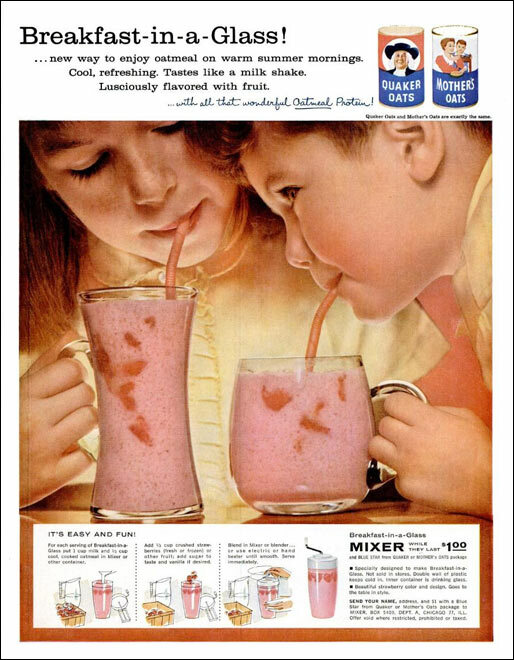 According to the 1959 magazine advertisement that shared this recipe, "Breakfast-in-a-glass (was) a new way to enjoy oatmeal on warm summer mornings. Cool, refreshing. Tastes like a milk shake. 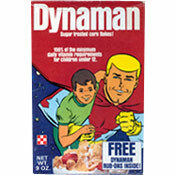 Lusciously flavored with fruit... with all that wonderful oatmeal protein." The ad was a joint promotion for Quaker Oats, Mother's Oats and Blue Star. It offered a special price on a hand-crank mixer that was specifically designed to make Breakfast-in-a-Glass. Tired of the same old bowl of oatmeal? Try drinking it instead! 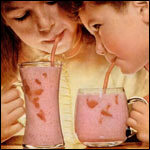 This vintage recipe combines cooked oats, milk and strawberries to make a refreshing smoothie. From 1959. What do you think of Breakfast In A Glass? I would make it again. It was pretty good. 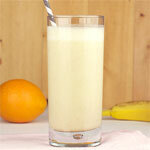 I think I'll give this oatmeal smoothie ONE MORE TRY. This time, I'll try adding chocolate protein powder for more flavor. I nuke the oats in the micro for a couple minutes with water, then throw it in the blender with cold milk, a banana, vanilla extract, dash of salt and honey to taste. It's a magnificent brekky. I don't have time to let the oats cool, the cold milk balances it to room temp for me. It's good. Didn't notice the oatmeal. I needed more flavor so I threw in a banana and that fixed it. Very good that way. I've been putting a couple tablespoons of oats and a little flax in my smoothies for a long time. You don't even notice it and it adds whole grain and fiber. I haven't cooked the oatmeal first (didn't seem necessary), but I might try that next time.